With the gorgeous foliage and everything pumpkin spice, Autumn is officially upon us and hopefully, fall break as well. Although it’s the most magical around Halloween time, Salem, MA is every autumn lover’s dream. Salem is a quaint city that is rich in culture and history with charming touches that makes it truly unique. Whether it’s a trip for you and your significant other or a family trip, there are things to do whatever the occasion. Located in New England, Salem is a short distance away from Boston which makes it very accessible whether you plan to arrive by car, plane, bus, or even ferry. Rich in history, Salem is a destination for any museum lover. 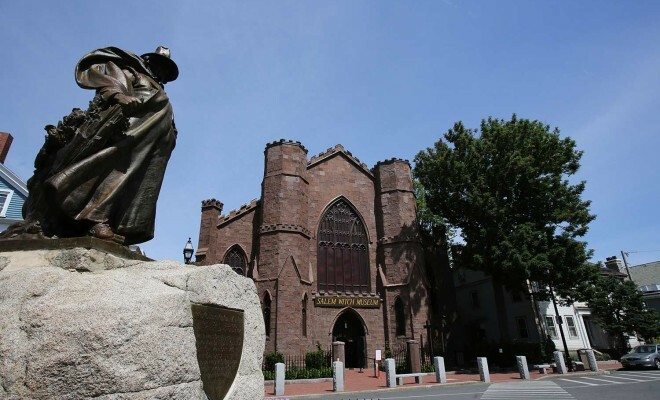 The Salem Witch Museum gives insight about the Salem Witch Trials of 1692 and the victims that were claimed. With an sit-down audio guided exhibit, it gives an one-of-a-kind learning experience that goes into detail about the Salem Witch trials and its conclusion. You also get to learn about the culture of modern practicing witches and how they differ from the stigma of the past and the way they are portrayed in Hollywood. If witch history isn’t your forte, Salem has a pirate history museum that may be up your alley. You can look at a variety of authentic artifacts before walking through a recreation of parts of the ships that used to set sail on the seas. The museum tour gives you a history of both famous pirates and some who aren’t as well known. The gift shop has a lot of pirate trinkets and souvenirs that will make any pirate lover happy. For art lovers, the Peabody Essex Museum boasts numerous levels of a variety of collections that complement any taste. Indulge in the rich cultures of countries including Korea, India, Japan, China, and others, and what they have to offer in terms of fashion, artwork, architecture, and sculptures. Check on their website for their temporary exhibits to be able to make the most of your visit. After a day of learning, let Flatbread Company feed you and entertain you with an activity not well-known to areas outside of New England. Eat like a local with their renowned wood fired pizza, a thinner style pizza, and local beers that are sure to quench your thirst after a long day of tourism. When you’re done eating, walk on to the attached bowling alley, Derby Lanes. Derby Lanes is not your average bowling alley. They offer candlepin bowling, an unique New England activity. Candlepins are long and skinny, while the bowling ball is slightly bigger than what you would use in Skeeball. While this may be challenging, who doesn’t think a challenge can be fun? This attraction is every movie lover’s must go-to: Count Orlok’s Nightmare Gallery. Recently relocated, Count Orlok now has a bigger size to accommodate even more exhibits of interest. This museum has dozens of genuine artifacts and trivia knowledge from the classic horror films that showcase the golden age of cinema. You can see highlights of horror films from each decade leading up to present day. There are plenty of lifesize wax figurines of characters that have guaranteed horrified you in your childhood and currently as well. End the visit with their gift shop of scary goodies and movie souvenirs. Whether you are interested in the surroundings, history, food, or entertainment, Salem has tons to offer. While it is a tourist city, it is recommended to live like a local for the duration of your time there. The city’s website lets you plan your trip itinerary with information and suggestions that will enrich each day you plan to visit. Hopefully, you now have some autumn envy and find an excuse to visit the New England city. So gather up your boots, sweaters, and your sense of adventure and plan your visit today.